The Cactus Gardens - Brand new to market! This is a newly-redecorated older property, on the site of a former cactus and succulent nursery. Uniquely, the gardens are the remnants of the nursery's impressive display specimens. In fact, it's still undergoing the final renovations, which is why there are currently so few photos. New everything - furniture, soft furnishings, appliances, fittings - this is a cosy home-away from-home. Drink your morning tea or coffee at the bistro table, have a barbeque in the outdoor living area or chat around the fire pit, play sports on the artificial sports surface, curl up with a book or DVD from the selection available or play one of the board games. And that's without leaving the property to take advantage of all that Rotorua has to offer! Leave the car behind and stroll across the road and walk or bike through the Redwoods, past thermal activity. A few minutes' walk (shorter by road) will bring you to the Whakarewarewa living Maori Village and a few more to Te Puia Pohutu Geyser. Practically around the corner is the Redwoods Centre and new Motion Entertainment Centre. Lockable double garage for storage of mountain bikes. Fully-fenced, back section, away from the road. Pets negotiable with prior arrangement. Check-in and out are flexible unless another there is another booking immediately before/after yours. If that is the case, checkout is 11am and check-in is 3pm to allow for cleaning between guests. Please communicate your intentions clearly. Books, games and sports equipment more suitable for older children, teenagers and adults. No extra guests (other than those booked) without prior approval. No smoking, drugs or illegal activities. By not choosing the cleaning surcharge, you are undertaking to clean the place yourself, leaving the premises as found. This is obviously still a work in progress. Yes, as per the listing description, there were some outstanding jobs from the renovations when you stayed and it's an older house. (Reflected in my pricing.) If the gates are left closed, the neighbour's dog can only access the driveway. Thanks for pointing out that it's not obvious that there are two, side-by-side, driveways. I'll make sure to inform future guests that by sticking to my side, they can avoid the potholes on the neighbour's side. Great location for biking in the Redwoods. Great location for biking in the Redwoods. House and garden much more suited to families with older children. Comfy beds! Pretty average. Not kid friendly. Great Location. Loved the way are beds were made up hotel style and very welcoming. This place will just get better as the little reno projects are completed. 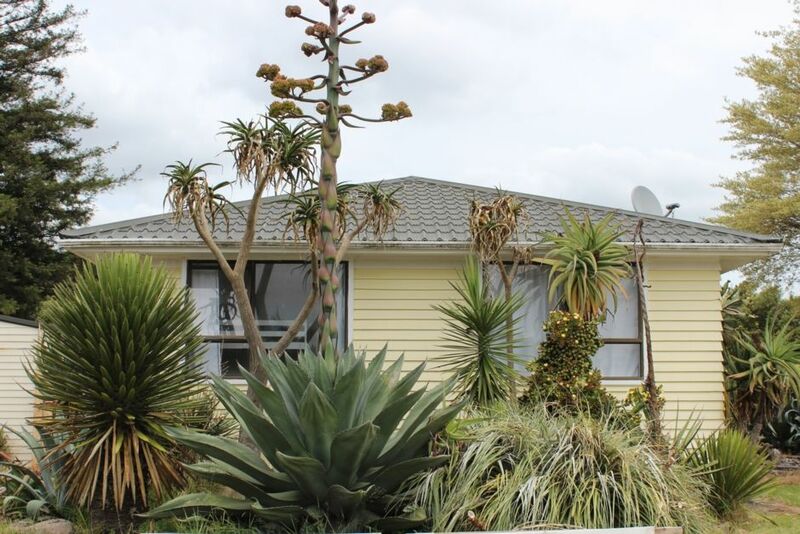 Nice 3 bedroom house with modern renovation, nicely decorated, well-equipped, location is very handy to Redwoods and city centre, quiet location plus giant cacti very impressive!